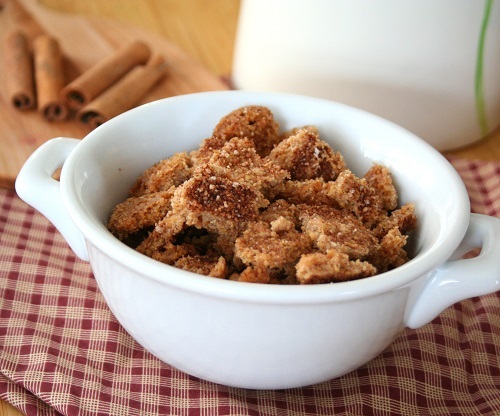 In the bowl of a food processor, combine almond flour, flax meal, sweetener and cinnamon. Pulse a few times to combine. Spread on prepared pan and bake 20 to 25 minutes or until golden brown. 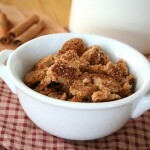 While baking, combine sweetener and cinnamon in a small bowl. Sprinkle over mixture immediately after removing from oven. Each serving has 7 g of carbs and 5 g of fiber. Total NET CARBS = 2 g.